P5/6 and P2AP are buddied up this year. 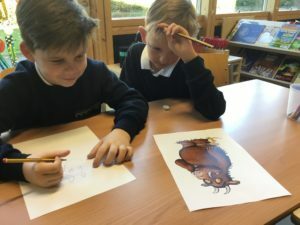 We have started a new project based on the P2’s topic about Julia Donaldson. 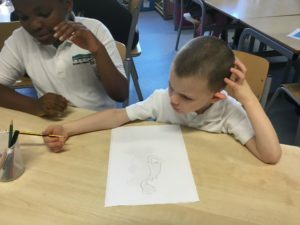 Last week, they drew a portrait of their favourite book character from one of Julia Donaldson’s books. Next week, they will work together to write a dialogue of something the character says. Last, we will use the app Chatterpix to create a video of their character talking. 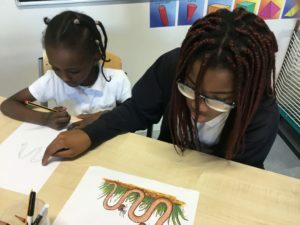 Working with buddies is a great opportunity for older children to share their learning and help younger learners to learn how to use new technologies.